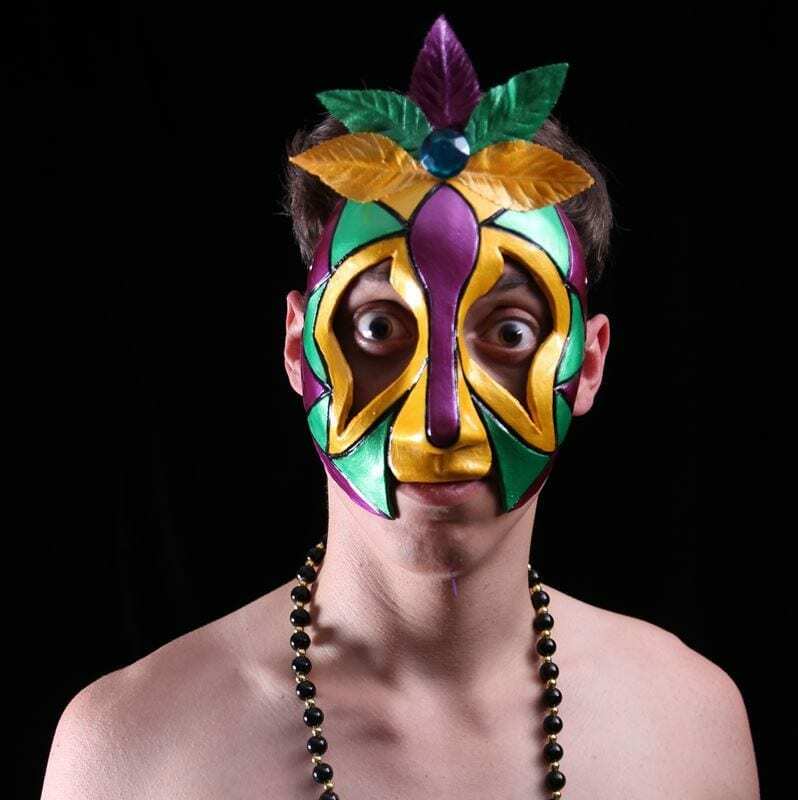 This Mardi Gras Mask was created in the studio on a day we were making a lot of mistakes. 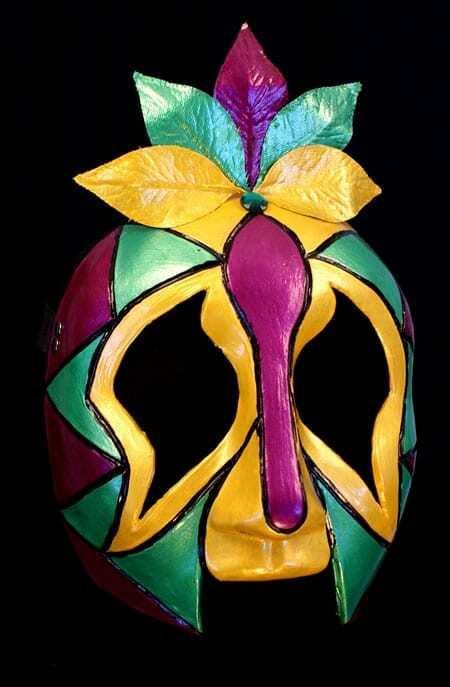 A mask was wrecked and thrown out. Shawn pulled it out of the garbage and painted it like this. A sculpted version of the paint job was then created. I think it's a good example of what can happen at Mardi Gras when one falls over from too much celebration. Don't stop! Pick yourself up, put on more decorative stuff and keep on going!! !